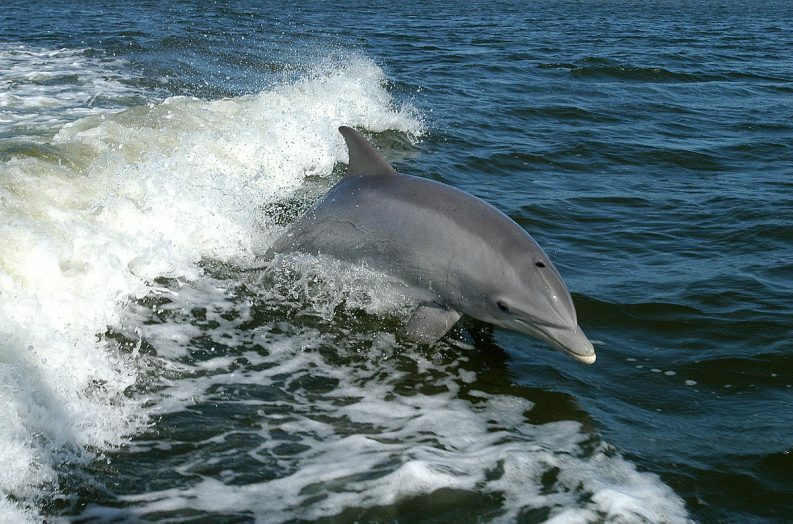 Shannon LNG: Are dolphins the key issue in this debate? 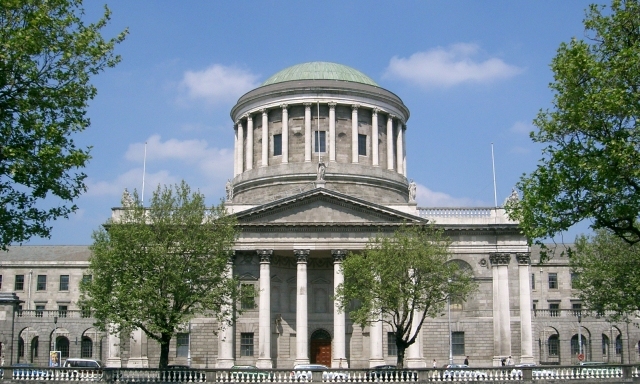 This week’s judicial review case of the planning application to construct a liquefied natural gas (LNG) terminal on the southern shore of the Shannon Estuary has raised many questions over whether such a terminal is appropriate in Ireland. Both the political and environmental climate has changed considerably over the last decade, including Ireland’s obligations to reduce reliance on carbon-based fuels. The potential negative impact on dolphins in the Shannon Estuary has been used by some as a justification to oppose planning permission. In 1993, the Irish Whale and Dolphin Group (IWDG) identified the Shannon Estuary as a home to a resident group of bottlenoses dolphins, providing a unique and extremely important habitat. The Shannon population is considered genetically discrete and recent research by the IWDG estimates just 154 individuals occur in the population. The IWDG contributed to the risk assessment of the proposed terminal on bottlenose dolphins and their habitat. It concluded that the construction and operation would not cause a significant impact if appropriate mitigation measures were employed. Environmental Impact Assessments (EIAs) typically concentrate on the site of the proposed development and associated activity. The cumulative effect of a development, in combination with other current and potential activities, must be taken into account during assessments. This is difficult to determine as a lot of assumptions are required as what is proposed compared to what actually goes ahead, as well as the scientific challenges of modelling cumulative impacts. In the IWDG’s opinion, the proposed construction and operation of an LNG terminal will of course impact on the estuary. But will not have a “significant impact” on the dolphins and their habitat or compromise the conservation objectives of the Lower River Shannon Special Areas of Conservation? Significant impact is defined within the EIS process and guidance on what constitutes significant regarding protected sites is provided by the EU. Will the proposed development enhance the habitat for, or improve the conservation status of, bottlenose dolphins in the estuary? No. Would the bottlenose dolphins be better off if there was no LNG terminal? Of course. The IWDG are concerned that although the impact of the LNG terminal in itself will not have a significant impact when combined with the expansion of Shannon Foynes Port Company, future developments at the Moneypoint and Tarbert stations, and the development of marine renewable energy. Then these cumulative effects could start having significant impacts. Not one development is significant but the cumulative effects of many could be ‘death by a thousand cuts’. Although opponents to the construction of an LNG terminal will try and use the presence of a resident population of dolphins as an opportunity to undermine the development, this would be inappropriate. There are much bigger issues to be discussed on a national level which should have profound implications for this and subsequent planning decisions in the estuary and elsewhere in Ireland. Politicians and managers must weigh up all the pros and cons, costs and benefits and cumulative effects before making decisions on our infrastructure. Protecting nature conservation is essential, especially given recent stark warnings on the rate of biodiversity extinctions and is a legal obligation in the Shannon Estuary for a range of habitats and species. Failure to maintain their conservation status can result in huge fines. Can we have economic development and maintain high nature conservation status in the Shannon Estuary and beyond? Yes, but only in a spirit of respect and openness and with a much greater commitment to understanding the functioning and habitat requirements of our species and habitats. We also need to ensure robust monitoring and surveillance is in place to ensure any deterioration in their conservation status is detected early enough to prevent any significant impacts. Is this an impossible, idealised view of the world? I hope not! The future economic development of our country requires knowledge of our natural habitats and native species and greater investment must be put into building this knowledge to inform those who are in positions to make informed decisions. Let’s hope this week’s judicial review proceedings will provide an opportunity for all stakeholders and interested parties to engage in a real debate about the future energy policy in Ireland and put our impact on climate change and carbon emissions centre stage because this is the real challenge to present and future generations. Simon is the CEO of the Irish Whale and Dolphin Group and carried out the Shannon Dolphin and Wildlife Foundation’s 2008 impact assessment of the proposed Shannon LNG development on bottlenose dolphins in the Shannon Estuary. A longer version of this article is available at IWDG’s website here.